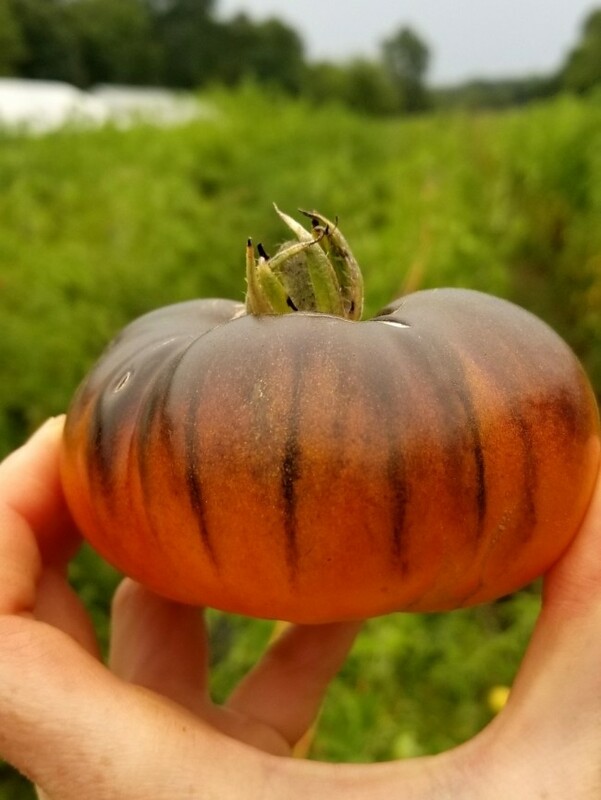 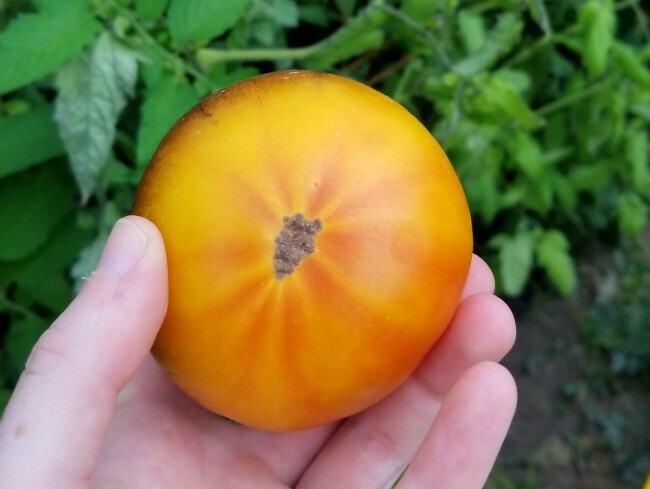 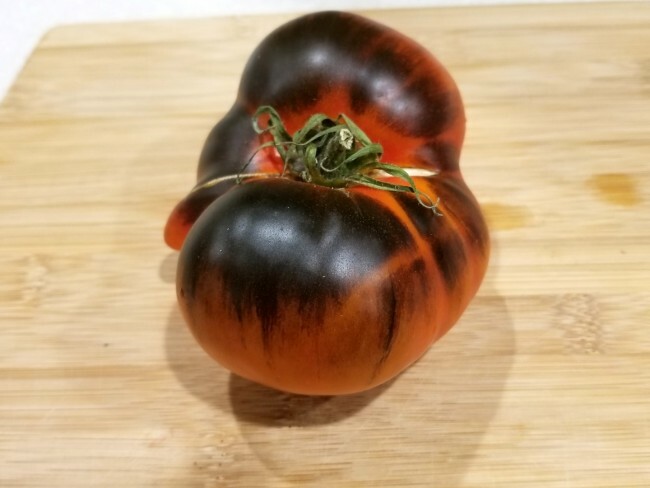 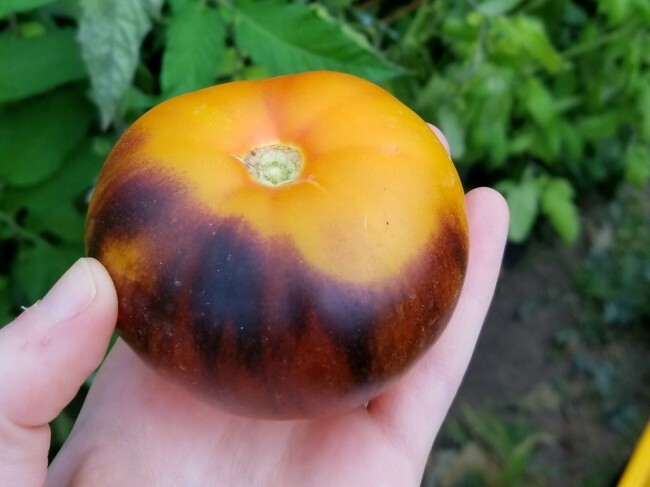 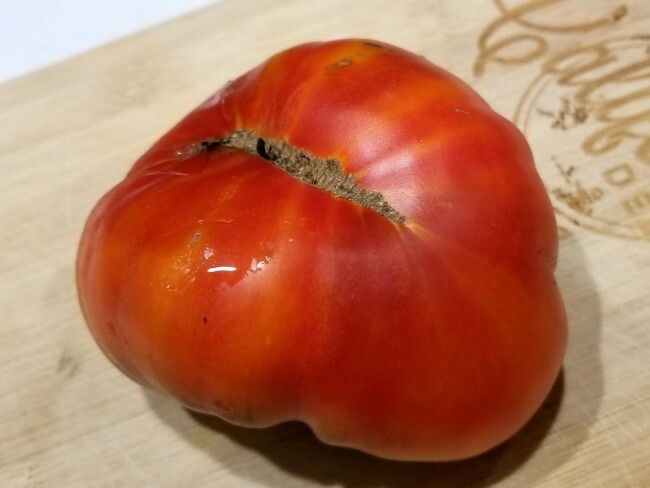 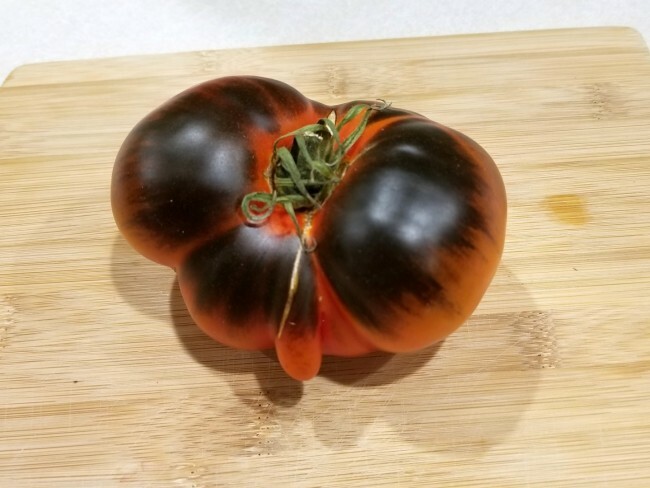 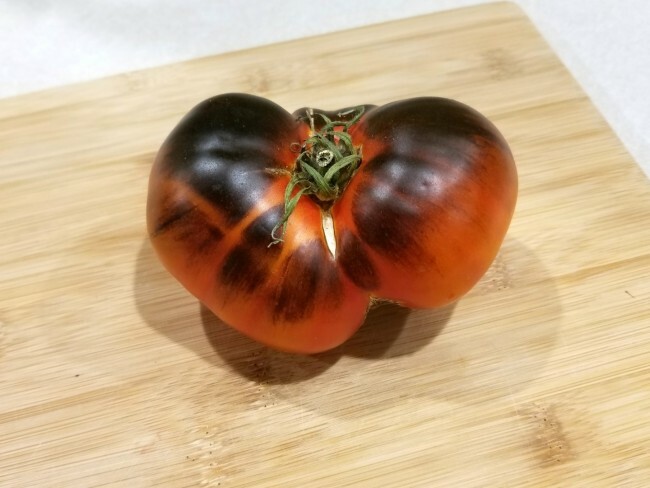 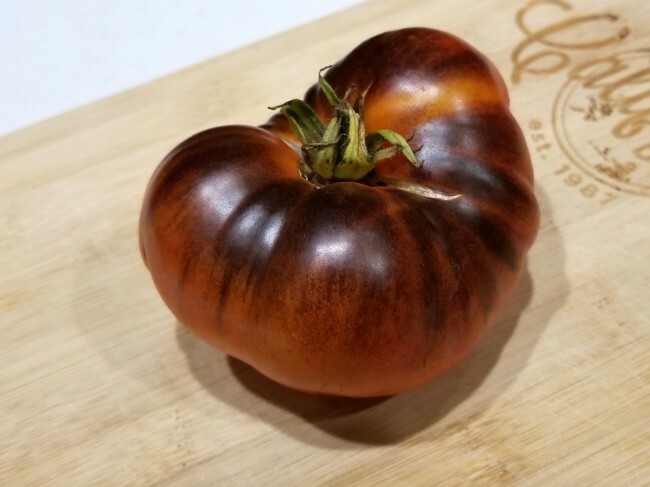 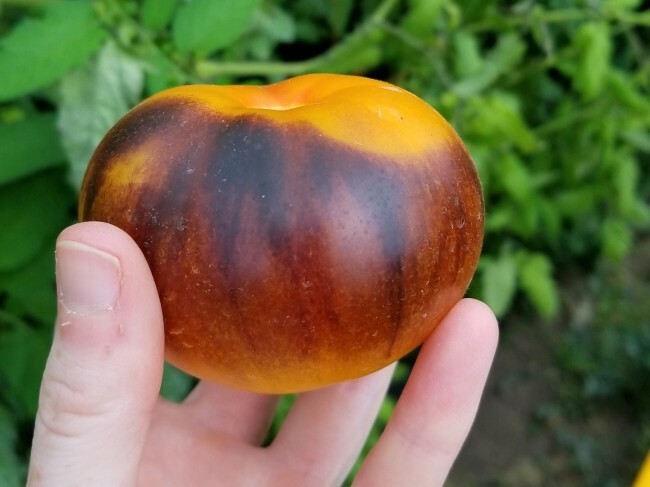 These unusual bi-colored tomatoes are slightly flattened and ribbed with blue shoulders and orange skin. 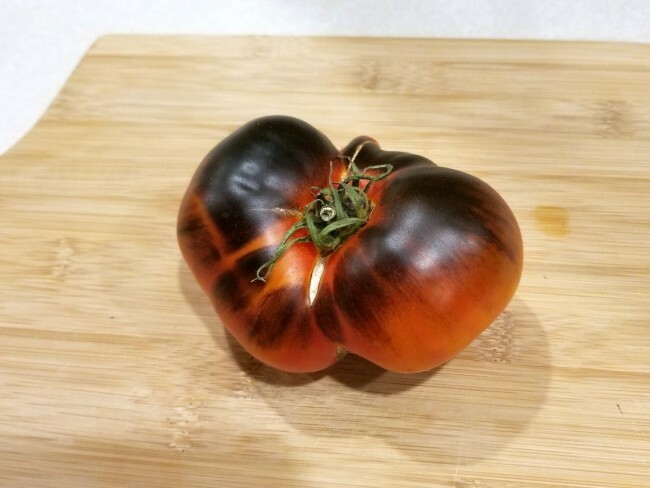 Also known as Blue Pineapple. 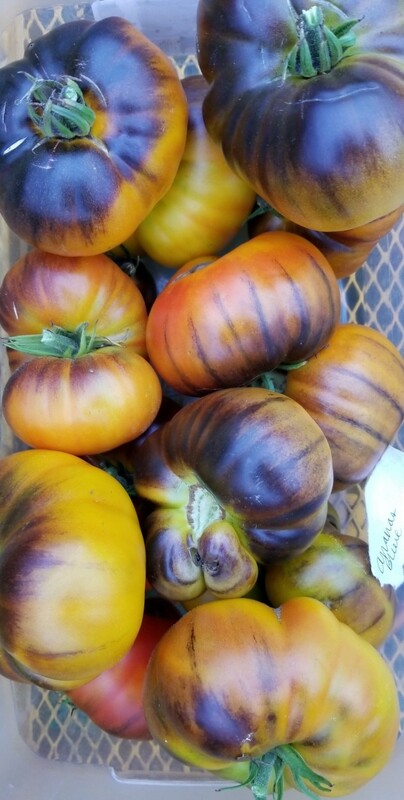 These unusual bi-colored tomatoes are slightly flattened and ribbed with blue shoulders and orange skin. 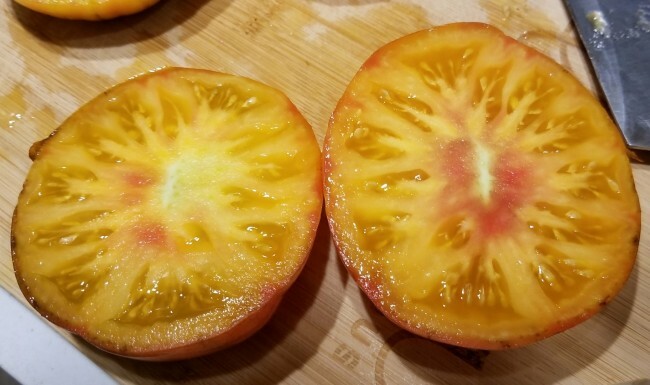 They offer a mild, sweet and fruity flavor with hints of pineapple.